Dr. Martha E. Rivera offers complete nutrition services for children and teens in and around Los Angeles, CA, helping them avoid major medical issues while enjoying better health. At Optimal Health Care Center, nutritional guidance is customized based on each patient’s needs for superior results that can improve health well into adulthood. Why is Nutrition so Important to My Child’s Health? The saying, “You are what you eat,” is especially true in childhood, when the body needs specific amounts of certain nutrients to support normal physical and emotional growth and development. Nutrition provides the fuel for children to play and stay focused in school, and it also provides the building blocks for growth. Plus, getting the right nutrients can help children stay healthy and ward off diseases and illnesses by supporting a healthy immune system. Nutrient deficiencies are associated with a range of serious medical conditions and diseases that can have long-lasting and even permanent effects on growth and development. And of course, specific nutrients help children enjoy better sight and hearing and greater strength and flexibility. Providing optimal nutrition is one of the best ways to support health and wellness throughout the childhood years. What Health Risks are Associated with Childhood Obesity? Plus, children who are overweight or obese are more likely to have low self-esteem and difficulties socializing, and they are more likely to be obese during adulthood. 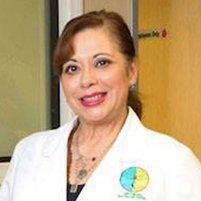 What Kinds of Nutritional Services Does Dr. Rivera Provide? Dr. Rivera offers nutritional counseling to help each child get the right nutrients they need for normal growth and development, as well as recommendations for nutritional supplements aimed specifically at satisfying the nutritional needs of children at different ages and different stages of development. We work with children and their families to help them understand how to improve overall nutrition within the framework of their lives, schedules, and even food preferences. Plus, we provide education and support better nutritional decisions over the long-term, helping kids avoid the serious medical risks associated with poor nutrition and obesity. Nutritional guidance and counseling is important for every child, not just those who are overweight or “picky” eaters.